VietNamNet Bridge - China’s policy on exporting its coal thermal power technology has raised concerns among environmentalists, who say Vietnam could become the destination for the outdated technology. Nguyen Dinh Tuan, former rector of the HCMC University of Natural Resources and the Environment, said that serious pollution in China was behind the country's decision to export the technology. “Previously, when China was poor, they had to accept this situation. But now, as China has become the world's second largest economy with foreign reserves of more than $3.2 trillion, it wants to stop this,” he said. “One of the measures is shutting down coal-fired thermopower plants. And once it doesn’t need the technology anymore, it will export the technology to seek profit,” he explained. The Chinese government is restructuring energy sources with priority given to clean renewable energy. Meanwhile, developing coal-fired plants remains the choice of Vietnam. China’s policy on exporting its coal thermal power technology has raised concerns among environmentalists, who say Vietnam could become the destination for the outdated technology. Vietnamese state management agencies say that most of Vietnam’s coal-fired thermal power projects have EPC contractors from China. Tuan said while many countries offer coal thermal power technology, Vietnam is still choosing technology and EPC contractors from China. “Chinese contractors are winning bids by offering very low prices. After winning the bids, they cite many reasons to raise investment capital,” he explained. In some cases, Chinese contractors were chosen because the contractors offered commissions to Vietnamese officials. The expert pointed out that China may follow a ‘dual strategy’ – both exporting technology and selling coal. Vietnam’s coal is not highly appreciated in use for coal-fired plants as it is not economical. Therefore, Vietnam sells its high-quality coal and imports lower-quality coal to run its thermal power plants. As the imports lack high quality, the pollution level is high. 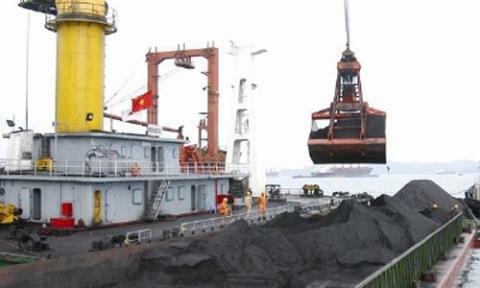 China has been following the coal import policy for many years and has been buying coal from Vietnam. Meanwhile, China sells coal suitable to Chinese-technology power plants to Vietnam. “It would be bad if Vietnam both imports old polluting technology and polluting material,” Tuan said. According to Nguy Thi Khanh, director of GreenID, Vietnam would have to import 85 million tons of coal by 2030 to run power plants as shown in the seventh power development program. Operating power plants, generating 13,000 MW a year, discharge 15 million tons of ash which still cannot be treated, causing serious pollution. The pollution will be even more serious if Vietnam increases coal-fired thermal power capacity to 55,000 MW, which is four times higher than now. Does Vietnam want to prevent Chinese technology waste? How has outdated Chinese technology entered Vietnam?